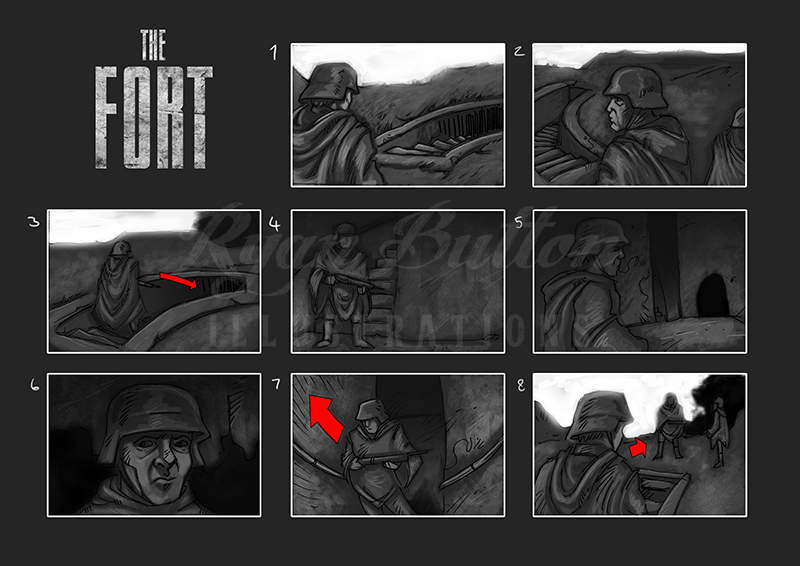 One of the scenes for the film – The Fort where I illustrated the scene with three of the main characters taking different routes to enter the deserted fort. One of the characters – Huber, reaches the bottom and finds that he has reached a completely different location to he would expect to have his fellow comrades. The character Huber becomes paranoid where there would appear to be shadow closing on him where he panics and retreats back up the stairs to find the others waiting for him.